One of the most difficult things one has to do when in college is getting a loan. It’s a somewhat hard thing to achieve because students don’t have a lot of time to work so they can pay their debt, they don’t have a fixed income, and their credit doesn’t look all that good since they’re so young. Hence the need for a cosigner. But what happens when they have to get student loans without cosigner? If you’ve ever asked yourself that question, here is a short, but comprehensive guide to help you along. The cosigner’s job when it comes to any type of loan is relatively easy to understand. When he or she co-signs the loan, they are, in fact, guaranteeing it. In laymen’s terms, that means they act as a tertiary person to the bank or financial institution, legally promising they will pay the debt in your stead should you prove not able to. Students are the major category of borrowers that turn to this method because they have little else with which to back-up their loan in front of the bank. This is also the reason why it may seem difficult to receive student loans without a cosigner. First and foremost, the cosigner needs to understand his or her responsibility. In other words, they need to know they are promising to pay off a loan. Secondly, they need to prove they are able to pay the student loan. Evidently, if the cosigner is in the same situation as the student, they will not be able to pay back the bank. 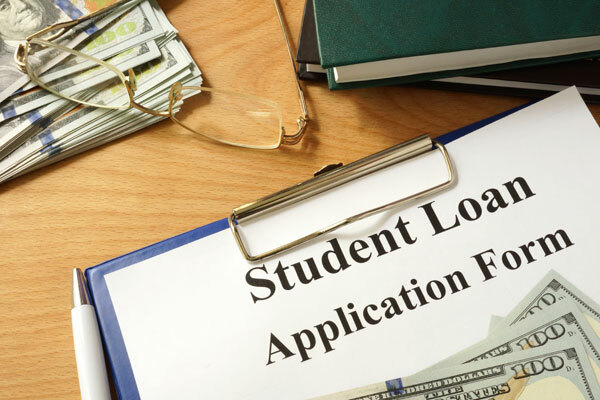 The cosigner also needs to understand they are not signing on for only a few payments, but maybe for the entire loan if the student is not able. They might also need to pay late fees and other collection costs, which will up the original contractual amount. There are also some creditors which reserve their right to first come to the cosigner for the money rather than go to the student. This is why you need to read all the contracts you sign very carefully. Don’t forget about the fine print! The institution issuing the loan can and will sue you, the cosigner if the sum of money is not collected in due time. There are two consequences to this. First, the loaner almost always wins, thanks to the contracts you signed and secondly, this will go on your track record, even if it’s not your fault. Is It Possible to Receive Student Loans Without Cosigner? Yes, it is. However, it may prove harder than one would originally think. As you might have noticed from the above paragraphs, being a cosigner is not a walk in the park. People who agree to do this for a student, run high risks of getting into trouble, both financially and legally. Therefore, it may prove difficult to find a cosigner in the first place. Building on the ideas presented in the exposition, students have a hard time getting loans as it is. Normally, when a bank or any other type of financial institution reviews an applicant’s file, they have a number of criteria which they use. They typically want to know your credit score, your income, if it’s fixed or not, your payment history, your college degrees, and everything else in between. It may also include rent and bills payment track record. That’s because they need to establish if you are a trustworthy person or not, money-wise. Unfortunately, students don’t always meet this plethora of criteria, because they’re too young, they’ve never paid bills or rent, or they don’t have a fixed income. Therefore, the easiest way would be to get a cosigner to help you along. Still, as pointed out, they are not always available. Therefore, how do you proceed regarding student loans without cosigner? How Can One Get Student Loans Without Cosigner? If you find yourself in the predicament we’ve been discussing, here are a few things you need to know, as well as some tips on getting student loans without cosigner. The most crucial thing you need to know relates to, evidently, money. When you apply and if you are granted student loans without cosigner, your interest rates will be much higher than otherwise. The result is that all repayments you make after you finish your studies will clearly be bigger. No cosigner = more money. Ask yourself if you are ready to do this. Think about your field of study and whether or not you will be practicing it after you graduate. How easy will it be to get a job after you finish college? How much will that job be paid? Will you have enough money to pay off your debt and still lead a decent life? These are all things it’s crucial you think about prior to applying. Getting student loans without cosigner is traditionally considered as a last resort. Therefore, perform thorough research and see what other options you have. When you succeed in receiving student loans without cosigner, always consolidate your loan. After you graduate, things will change. Now you have a degree, are older than when you enrolled, and your credit history most likely improved while you were a student. Also, you might now have a decent job. All of these criteria will make it a lot easier to consolidate your initial loan and make the paying a lot less stressful. Focus on building an excellent credit history. Pay your rent every single month and keep all the receipts or transaction proof. Always pay your bills on time and don’t forget about parking tickets. Try not to get fines for littering, underage alcohol consumption, and everything in between. Not even a library fine for being late with a book. If you do, pay them off immediately. If you have traces of being late with your payments on your credit record, you may ask the responsible people to wipe them off, in case you feel you have the right to. If you don’t want to opt for a private financial institution, you can always turn to federal loans as they do not require a cosigner. However, as always, there’s a catch. You cannot borrow as much as you would like to, simply because the institution doesn’t want to take such a big risk with a college student. They ordinarily set a sum of money which you can borrow every single term you’re in college. When you max out, you’ve reached the end. Therefore, be careful on how much money you spend every month. Living frugally might not appeal to you as a college student, but think of it this way. The less you spend, the less you borrow, the less there is to pay back when you finish college. As pointed out, student loans without cosigner are not the best way to go. They should be undertaken as a last resort and not without thorough research. In the end, remember that there is no one right solution. When it comes to loans, what matters the most is what is appropriate for you.